Small-batch marketing made with heart | Videography | Aerial Drone | Video Editing | Color Grading | Motion Graphics | Animations | Professional Voiceover | Original Music Composition | Website Design | Graphic Design | Photography | Photo Editing | Copywriting | Consulting | Branding | And More! "Need great videography? Look no further than Jeff Goldstein at Pardon Media. He’s an artist with the camera, a wizard in the editing room, and a problem-solving partner as an entrepreneur. He captured the magic of my Pips & Bounce project fluently, and I can’t wait to put him to work on upcoming opportunities!" "My company needed a new website and promo video, thankfully we hired Pardon Media. Almost instantly we started receiving new business through the website plus we always get praise about our awesome video. Jeff also helped clean up our online presence and was very easy to work with, you can tell he really cares…"
"Jeff was a pleasure to work with! He’s professional, creative and personable. He successfully translated our product into two video spots designed to entice the viewer to experience our cruises. We plan on utilizing his services to capture the rest of our product line." "Jeff Goldstein did beautiful work on music videos that I needed to capture the sense of live performance… Friendly pre-shoot interview, great attention to detail, collaborative when needed, artistic sensibility, and completely accommodating when it came to edit changes. I really enjoyed working with Jeff." "Jeff at Pardon Media did a fantastic job help me launch my business with bravado! He really understood what we were about and he effectively communicated the video to the general public. I wouldn’t hesitate to use him again and again and again." "Jeff was super available and willing to work within our budget. Was able to explain and worked patiently with our very minimal technological skills and taught us how to run our site. Very kind as well as professional, I would totally recommend him to others." "Jeff has a unique eye for visuals and framing. A highly detail-oriented filmmaker with a well-developed visual style and knack for turning even the most seemingly mundane tasks into beautiful, cleverly orchestrated, and inspiring works of art. He is among the most persistent, committed, and enthusiastic individuals that I have ever worked with." "I really enjoyed working with Jeff. Not only is he a creative visionary but he also has his customer service dialed in. I found him to be an attentive listener and very patient. All my needs and wants for my project were met in a timely fashion. And I couldn’t have asked for better service." Pips and Bounce was a start-up company in 2013 about to launch their first ping-pong event so they hired Pardon Media for marketing. Creating a series of six promotional videos to showcase their varying themed events and to increase online exposure. After conducting focus group research from their consistent users, we ran a successful Kickstarter crowdfunding campaign raising $51,059 to build their first location that is now one of Portland's go-to attractions. Eat.Drink.Pong! Marketing campaign including eight videos for Kafoury & McDougal and the Law Offices of Lourdes Sanchez. Their partnership included two television commercials, five practice areas videos, and one promotional video to summarize their services and thirty year history. Collaborating with the PixelSpoke agency who built their stellar website while incorporating Pardon Media videos to enhance presentation. Videos made for English and Spanish speaking audiences. Leak Seal Roofing was ready to take their business to the next level, so they hired Pardon Media. Discovering the need for a complete rebrand with a new website, logo, and a series of four promotional videos including buckets of aerial shots by drone. Three videos highlight their two services and proprietary technology plus one video that summarizes their services. We cleaned up their online presence by recovering and updating third party accounts with current branding and consistent information. Telesonix and VoidRack are Los Angeles based sister companies that needed help designing websites with an ecommerce store to showcase and easily sell their wireless audio products. We simplified their logo, branding, and built two new websites optimized and responsive for computers, tablets, and phones; including parallax scrolling and custom coding. Graphic design and email campaigns were designed and used for specific placement on audio rental websites, social media, and email marketing. Thank you! 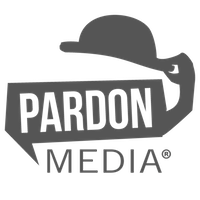 Pardon Media will reach out to you soon. We look forward to collaborating!